However, there are downsides as well. Before starting a business in Croatia, there are 5 things you should absolutely know before pulling the trigger. The accountant will file your tax returns, communicate with the government, file your PDV and calculate the salary payments for all of your employees. The cost of an accountant can be range from 400 to 1.500 kuna per month for a basic d.o.o. business. The more activity your business has, and the more services you request (for example, paying your bills), the higher the cost will be. You’ll also need to pay for your end of year calculations on top of the monthly fee, which will cost at least 2.000 kuna. Once you issue an invoice with PDV, you are then required to pay the invoiced PDV to the government regardless of whether or not that invoice has been paid yet. So, if any of your customers pay late, you can end up fronting the cost to the government. Once registered with PDV, you are required to be in the system for 5 years. 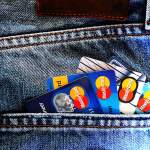 For service-based companies or companies with expensive products, you may find that customers are unwilling to pay the PDV and instead will forgo the purchase entirely or pay in cash (aka under the table). When you start a company, think carefully before you decide on your official registered address. Changing your company’s registered address requires a notary and for the new address to be filed with the government. If you are changing your address within the same city where your company is registered AND your formation documents include the language that you can change the address, the only cost will be for the notary, which is about 200 kuna. 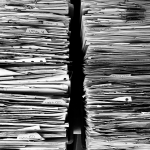 However, if you are changing your business address to a different city OR your formation documents do not include the ability to change the address, then you’ll need to re-file the formation documents. The cost to do this is about 2.000 kuna. Most Croatians use the address of a home they or their family owns. As an expat, since you may not own a home, many accountants will allow you to use their address for your company and accept mail on your behalf for a monthly fee. The likelihood that their business will move will be lower than the chances you will move. To claim a purchase as a business expensive, it must be invoiced to your company along with the company OIB (ID number) with an R1 invoice. An R1 is an official invoice that meets certain guidelines. It will say R1 on it. UPDATE 27/2/19: R1s are no longer required, but official invoices still are. The only difference is you no longer need to write “R1” on it. This is so inconsequential, companies are leaving the R1 on their invoice template. Not a perk at all, but important to note. If you work from home, you cannot deduct your rent, water bill, electricity or internet unless the respective contracts are in your business’ name and are paid for by the business. If you buy printer ink at a store using your business debit card, you MUST request they print an R1 invoice for you. Just having the receipt is not enough. The good thing is that once you register you business with a store, they will keep you on file for future purchases making it easier to get an official invoice. You can get reimbursed by your company for personal business expenses like meals and mileage, but there are a lot of restrictions depending on the situation. As of January 1, 2013, all businesses that accept cash payments OR online payments with credit cards are required to purchase and use a fiscalization software that automatically reports every cash transaction to the government in real time. Even accepting one cash or credit card payment makes you liable. Have any questions about starting a business in Croatia? Ask them in the comments. Hi Sara! I love all of your helpful articles. My husband and I are looking into moving to Croatiain the next couple years. We are brainstorming ideas for work, and have a few questions. Do you think there are any distinct advantages to being American (and speaking English) that we should consider? Tourism comes to mind, but not having firsthand experience, I'm wondering if there are other opportunities that aren't as obvious. My background is in digital marketing, and also wine. My husband is experienced with IT. We've talked about everything from opening a wine bar, to "luxury" winery tours, to designing tourism sites that cater to the English speaking market. Do you have any thoughts on these options, or does anything else come to mind? Are there any advantages to being an American? It depends. It’s definitely a disadvantage when it comes to starting a business and gaining residency. As far as the type of business, yes, being an American English speaker is advantageous if you plan on setting up a tourism company. However, when dealing with Croatian tour agents or smaller hotels/attractions, a knowledge of Croatian is helpful if not required. I’ve also been told that Americans are viewed as more knowledgeable in general, so they are more attractive to work with. But in reality, this hasn’t been my experience. There is a big cultural difference in the way business is done. Croatians are more personal, whereas Americans tend to be more impersonal in business dealings. That can be a disadvantage and make it harder to acclimate. The ideas you have are good ones. Their success is dependent on what part of the country you move to. Every city is different. Split is vastly different than Zagreb in every aspect. It’s invaluable to know to get to know the market in the city you intend to move to before deciding on what kind of business you want to move forward with. I am also planning on opening a company in Croatia and moving there. I work in IT , hence I contacted you as your husband is in IT. Does he plan to start something in IT training or consultancy and we could work together them? If your not of Croatian descent, feel free to visit our country. But don’t start a business. Croatia and it’s wealth is for Croatian people. There are many educated and English speaking professionals already in the IT sector, you’ll fail anyway. You are not a fortune teller and you cannot say with any certainty that someone is going to “fail anyway”. Croatians are fleeing the country at an exponential rate and Croatia should welcome foreigners with open arms, since they will be the new workforce that supports your aging population since your youth now live in Ireland and Germany. Food for thought. This is amazing! I was wondering if there was a way I can get in contact with you. My (equally) nomadic husband and I also moved here from the States. We are currently looking to get a health tourism business off the ground geared towards Americans. We have devised a business plan and have about 4 other partners involved (native Croatians), but we want to know if it makes sense to work for them under their subsidiary company or to start our own. With the former, while it would be eaiser, we are not sure if we will still be able to retain ownership in the business. Basically, we just need some direction on the best way to go about it. We also need to obtain residency, so that's the other part of it. Thanks for reaching out! I will send you an email directly. Cheers! This is awesome what you're doing and helping other ???? I have the same question as Brenda did. Hi Sara! What an awesome blog!! Love it. 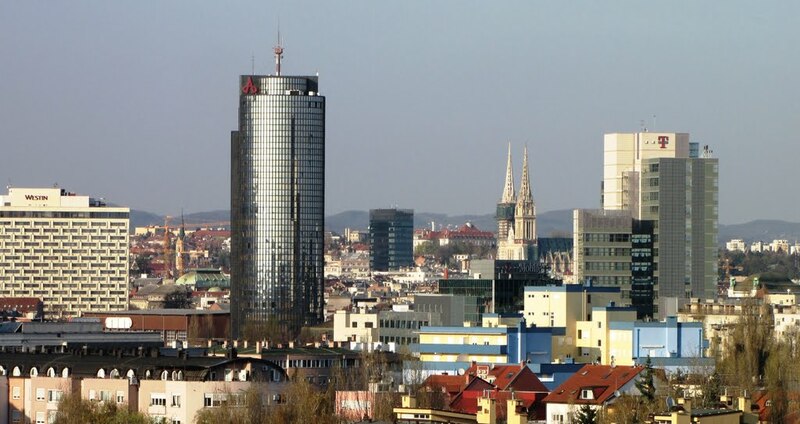 My wife and I are moving to Zagreb on May 1st. I own a business that I operate entirely online. All my clients are American and due to the nature of services, will always be Americans. We're looking at ways to obtain residency. If I formalize a Croatian entity and all my sales occur with US clients, with US bank accounts, would I still be subject to VAT? Do you know what legal minimum I would be required to pay myself? Can you recommend any tax experts in Croatia that speak English (or Russian)? Thanks for reaching out! First, if your business is operated entirely outside Croatia, then there is no reason to open up a business here. And to be honest, opening one is a money pit and I don’t recommend it unless it’s your absolute only option for gaining residency. Another way to get a visa (if you are both non-EU nationals) is to purchase residential property. There is no minimum, it just has to be zoned residential and then you are entitled to a visa. Regarding VAT, there are multiple answers to that question. You can either be in VAT or out of VAT. If your Croatian business is not in VAT, that means that you don’t have to collect VAT from your clients AND that you must pay VAT to your vendors that are in VAT. If you are in VAT, that means you must collect VAT, report and pay it quarterly to the government. It also means, you are refunded what VAT you pay to others as part fo your business. It’s only worth being in VAT if you have a business with physical goods and a physical location. If you are purely online, it might not be a good choice. I can recommend a good English-speaking accountant in Split. Email me at [email protected] and I can give you her contact info. Hi there Sara, lots of good info here – sorts through the complexities of beuracracy here in Croatia – that is for sure! I am a Canadian living and working in Dubrovnik. (formerly resided in Split, and miss it a lot.) I am looking to open a company – I have a current OIB and work permit through my current employment here. I have been doing some research – and came across your page. Just wondering if you have any contacts in Dubrovnik? Keep up the informative work, it is much appreciated. Happy to hear the resources have been helpful! What kind of contacts are you looking for in Dubrovnik specifically? Can you help me on one thing regarding owning a business in Croatia. Is it possible to sell a product outside of Croatia if my business is based and operated from Croatia. For example I am going to a dog show in Hungary or France or another EU country, and I would like to sell dog leashes or clothes in the country where the show is being held. Thanks for reaching out! Yes, you can sell products outside Croatia. However, if you receive payments through your Croatia business for these sales, then you’ll still need to report and pay taxes on it. As far as responsibility for VAT, I would consult with a lawyer on this. Hello, I'm Italian and I'm seriously thinking about moving to Croatia and starting up an activity on my own (cafè serving Italian wine and aperitif). We would like to rent the property in the center of a touristic city (like Split), especially at the starting of our activity, since we don't have enough cash to buy, but we wanted to know if there is possibility to find something for rent that fits our needs. Do you know any portal where demand and offer of such rent can meet? In addition, I would like to ask you an advice: do you think it's possible to find the property from Italy or do you think it's better to move in Croatia and search from there? Thak you very much for your support!! Your best resource is njuskalo.hr. I highly recommend searching for a property in person, in Split instead of from Italy. It will be very difficult to find a place from afar. You've got a lot of really useful information on here so I hope you can help me with my query. Is a d.o.o. the best type of company? Do I need to state what the business is (i.e. rental, teaching) ?Can I set up just 1 company to cover both (and also to cover any other future ideas I may have)? A d.o.o. is preferred over a j.d.o.o. A j.d.o.o. has a reduced start up cost, but you will still need to invest the intitial start up capital and you will need to submit to an audit down the line (which you’ll have to pay for). I recommend consulting a lawyer before beginning the process, as laws here change frequently, and sometimes, retroactively. Yes, you should be able to use the d.o.o. for a variety of business dealings. You’ll need to choose all the categories that may apply when setting up the company. If you would like a lawyer recommendation, please send me an email at [email protected] or message me through the Facebook page. Thanks for reaching out! I recommend contact a lawyer to get the specifics. You may contact me for a referral: [email protected]. That being said, I’ve been in bars here that have imported kegs, so it is possible and it is done. You are doing such amazing job with your advices. You should start charging for your services. We are US Corporation registerred in California doing lots of business with Croatia. I would say we are leading luxury tour operator for Croatia and countries of former Yugoslavi in North American market and send tons of high-end clients to Croatia on vacation. We are contempating of either opening our own Croatian subsidiary or representative office in Croatia. Initially, one of our US employees would be managing the Croatian outlet. As represenative office, would we have rights to sell some of our services locally to Croatian audience? Thank you and looking forward in hearing from you. Thank you for reaching out! You would need to open a Croatian business to sell services here. If you have a US employee here, then they would need to be sponsored to work here. To sponsor a non EU national, you must invest 100,000 Croatian Kuna into the businss as start up capital. I recommend consulting with a lawyer to be sure. You may contact me by email for a referral: [email protected]. Great site. I have recentky moved to Istria in the Porec region. I am looking for any type of volunteer work available. I was just wondering if you might be able to offer any suggestions. I’m not sure about the Porec area specifically, but I do know people who have gotten volunteer work at English-focused preschools in other parts of Croatia. My wife from Bjelovar and I (an American) are planning to open up a Service Engineering Company in the Rijeka area. It won't be any product per se… ALL Engineering drawings of America Company designs. We're looking to be around 20-30 employee company. Could you direct us to someone / someplace that could help out with the Croatian startup questions my investors will be asking? Sorry for the vague question. Got to start somewhere right? THank you for the help and Blog. If you see this, can you shoot me an email? I’d be interesting and talking with you, regarding your Service Engineering company. There might be some collaboration opportunities for both of our companies. Great blog and really helpfull information. I am a native Croatian but I grew up in the UK and spent the last 6 years in Paris and after an exhausting experience would like to try luving in Croatia. I do experience some of the same issues in terms of mentallity and different business style. I have been considering starting a craft "business" on a small scale selling leather and cloth bags. Something pretty and modern anyway. Whomever I speak to (Croatians) they seem to think its a bad idea and that the economy and people are too poor to buy any of it. Now I understand their point of view but I was thinking maybe to focus on tourist spots instead. Be based in Zagreb, rent an appartment and make bags in the rented appartment which I can then maybe offer to some boutiques around the coast. Do you think this would be too complicated administratively etc? And since you are based on the coast you have a better overview of clients and opportunities maybe. I speak Croatian fluently but I am just as confused with the language used in official documents. Thanks a lot, any comments would help. Thanks for reaching out! First, every time I or any of my friends or acquaintances say they are going to start a new business, every Croatian says it’s a bad idea. This is not an entrepreneurial society. With the oppressive regulations and taxes, it is not a surprise. Many of those businesses that locals said would fail have been very successful. So don’t let any negativity get you down. I do recommend doing some market research before beginning. It is true that there is a not a lot of disposable income in Croatia to purchase high-priced items. You would likely need to focus on tourists. That beings said, there are boutique shops in all of the major cities selling luxury items. I’m not sure how well they do, with locals or tourists. Would be helpful to chat up the owners of existing shops that may carry a product like what you want to create. Your short post has illuminated some great points about some of the difficulties of business in Croatia. Having dealt with their buerocracy previously, I’m not surprised at all. Not sure why they make doing anything difficult. I’m curious if you have any insight on running a business that would take payment strictly by credit card. I’m wondering if I can apply my business model to Croatia (probably start in Zagreb); however we market ourselves as being convenient by booking services completely online and taking payment by credit card. I know cash is still hugely common in Croatia, so I’m wondering if an essentially credit card only service business would be doable. Yes, you could do an all electronic payment business. If you go this route, you can avoid the chaos of fisclization, which is required when you take cash payments. This is absolutely a great blog. There are quite a lot of information with regards to establishing a business and thanks a lot for your assistance. We do have an idea to start a business too. However, at the start we would like to move closer to Zagreb and try out the place for an year. My husband is a Croatian/Australian and very fluent in Croatian language. We both have been living in Australia and I am not fluent in Croatian. Will there be any possibilities for us to find short term jobs? I have been in the education for almost 20 years and my husband has been in retail and freight for the similar number of years. At the moment we are in Australia however we are planning to move there by mid next year. Could you please guide us in the right direction? Yes, it is possible that you can both get short term jobs. However, fluency in Croatian will be a big factor. You will need to have a work permit, which can only be gotten after you’ve gained residency here based on your marriage to a Croatian citizen. If you were married in Australia, you will need to provide a certified Croatian translation of your marriage certificate, which needs to be attached to the original and apostilled for use in Croatia. Hi Sara, it was a good read and your blog gave me tons of ideas. My name is Nicole and I am from Malaysia. I’ve moved to Dubrovnik recently and I would like to start a business here. The idea of having a small restaurant in Dubrovnik seems difficult as I am not EU citizenship, however, I have a partner, who is a Croatian and he will be dealing with most of the legal documentations. Sadly to say, I will be anonymous at the mean time as it take years for me to be a Croatian. Different is always better in Croatia, especially when it comes to restaurants. Croatia in general needs more Asian food, in my opinion. However, there have been “Asian” restaurants that have also failed. It’s not just about being different, it’s also about doing it well consistently. Just being consistently good will put you ahead of most restaurants in Croatia. Also, don’t change dishes to make them more palatable. Authenticity is important, consistency is important and being specific is important. “General” Asian doesn’t work well here either. If you hit all those marks, then they will come (and so will I)! If you open up a place, please let us know here! I am also a Malaysian and own a Baba Nyonya restaurant in Beijing. Are you still looking for a partner to start a Asian restaurant Dubornvik, I am interested. At moment I am touring Croatia. Very usefull website and posts indeed ! Thanks for maintaining it so well. I am considering to buy a small, existing DOO from a Belgian owner (I am Belgian too), that used it to rent out a sailing boat in Croatia (charter business). Taking over his company has some advantages over setting up a new DOO. But how can I make 200% certain that all debts and other obligations of the existing DOO are well known before buying it ? I’m in touch with the local accountant of the existing DOO, he claims that there is an official document costing 150 kunas and giving this guarantee, is this correct ? There is a document called “confirmation of non-existence of debt” (potvrda o nepostojanju duga) which costs around 40 HRK in tax stamps and you can get it in municipality offices where the DOO is registered. Another way to check this information would be on FINA websites, but you have to pay to register. The cost breakdown for registering is on the link I provided. Your accountant may already have access to this, so it would be best to confirm so you do not have to pay. Great blog and valuable information. As a second generation Croatian in Sweden I´d like to reconnect with my roots and quite possibly move back. I’m a IT consultant and business owner but I’d like to start up a boat-charter business in Croatia. Can I combine the businesses over an interim period by starting a Croatian company, i.e. invoice my Swedish company but pay my Swedish salary and income taxes where I currently live? The idea is to minimise salary and to reinvest yearly profit into assets for the boats. * Which company tax rates would then apply, 18% or 12%? * Which Croatian company-form would you recommend? I recommend consulting a lawyer. If you contact me by email, I can recommend one. Another user on this site has some info from his own experience that may prove valuable to you. If you email me, I can forward that to you. Hi Sara,l just stumbled accidentally on your blog and it’s great! I’m Croatian but for the past 17 years I’ve been living in the UK. rent it out) or producing olive oil on a smallish scale(my parents have about 100 olive trees). What do l have to think about before even considering the big move? It’s not all doom and gloom, but it’s not easy either. There are a lot of taxes, regulation and permits, which can be oppressive. Also, there is a housing shortage in some places around Croatia because so much of the open apartments/homes are being used for vacation rentals. If you have a unique, consistent and intriguing offering, then you can be successful. Just know that you will have a lot of competition from the beginning and much of your profit could be vacuumed up by bureacracy. I recommend putting together a detailed plan before pulling the trigger to ensure it’s cost effective and worth diving into. Hi Sara,thank you so much for your very helpful comments. You gave me a lot to think about. I am planning on opening a company in Croatia and moving there. The type of business you are describing exists all across the islands and coast of Croatia. You’ll have heavy competition. I am an Italian citizen, registered with the AIRE (anagrafe italiani residenti all’estero) currently residing in the US (I am a US citizen as well). Interesting to read about all the information. My question is, what about opening a massage and Hatha yoga studio? would you know how difficult / easy it is ? what kind of licenses are required? Are there any in Croatia? I envision it as a place of well-being, rejuvination, where natives, as well as Americans can stop in. any information would be most helpful, as well as any links to chamber of commerce, government office, or English / Italian speaking accountants. Yes, there are massage and yoga studios in Croatia. I’m not sure of the exact permits necessary for this type of business. If you email me, I will give you the contact details for an attorney that could better guide you. Please email me and I’ll send you the contact details for a good real estate attorney. city, but my fiance lives in Zagreb so we will settle down there. more like traditional market who prefers their own taste? Despite rampant stereotypes, in my experience, Croatians are flexible in cuisines and are willing to try new things. As long as what you are providing is good quality, reasonably priced, and consistently delicious, then Croatians will support your business. I am living in Croatia with my Croatian husband and we have started growing gourmet mushrooms and looking to officialize our little biz incl. Selling mushroom products and importing mushroom products from alibaba. From what i can see online i will have no probs ordering bulk from alibaba as there seems to be some sort of trade agreement with China but obviously im not 100% sure because im not well versed in all this stuff at all. – So my first question is whether i need to pay import/duty tax if ordering re-sellable products from China via alibaba? -I am told that once we register a business we will have to pay tax a year ahead. Is that true? – last question is if i am selling mushroom products would i open a opg ( family farming land biz) or should i go streight into opening an ‘obrt’? Second, I recommend consulting an accountant. If you email me, I can make a recommendation. Hi Sara. I am South African and I have visited Criatia last August. I will be visiting again in September this year. We are interested in buying property in Croatia and are aware of buying residential or going the company way. I see you discourage starting company due to cost of accountants and VAT etc. We have however established that if you buy privately you may only receive deed of transfer in about two years time and cannot do any alterations to buildings in that period whereas with company you can have it in 8 weeks time. The company that we will start is only for this purpose and there will be no buying and selling which means very little VAT admin. Your advice will be appreciated. Thanks. Francois. I live in Chicago and visit my family in Croatia often. I was born there and spent some time in school there as well so I speak the language fluently. I’m in my mid 20’s and was thinking about opening a business in Croatia. However, I don’t know anything about opening one out there. Some ideas I’ve had is a store that sells electronics. Can’t figure out why the price in Croatia for electronics is 3 times the price in Chicago. Any advice? I would appreciate an email. of the land? Any advice on this subject would be greatly appreciated as I am destined to make Istria my new home. I’m not sure what the requirement is. I recommend consulting a lawyer. If you email me, I can recommend one. I am Pakistani and I want to start tourism business in Croatia. How much is the cost of registration? The cost varies depending on the type of business you choose to open. 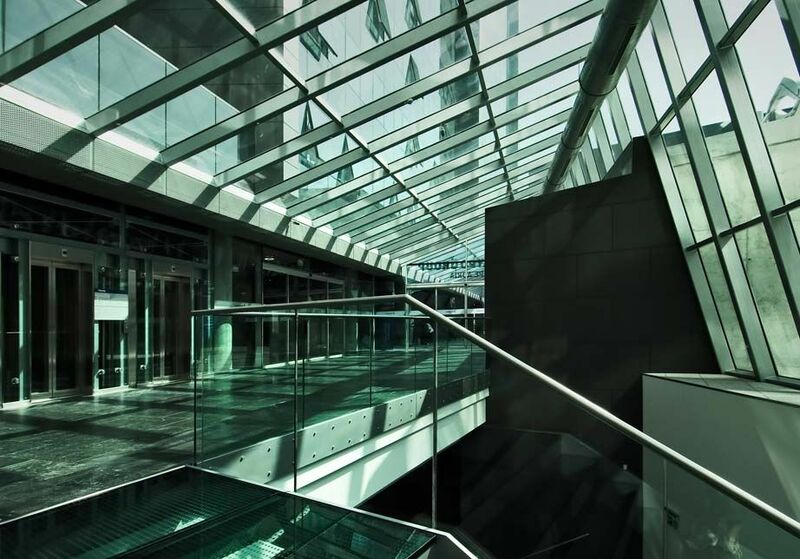 There are posts on each of the 4 types of corporate structures that include approximate costs here: https://www.expatincroatia.com/business-in-croatia/ Please note that this would be in addition to any special permits or licenses your specific business would require. Your blog is brilliant, thank you for helping so many people. My partner is Croatian born and I am British. We have been talking about setting up a seasonal hospitality business in Croatia for almost four years, as we normally spend our summers in the beautiful country! We are both UK tax payers and will live in the UK for a minimum of 8 months a year. 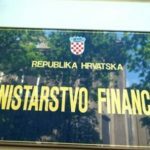 We need some tax advice on our business plan, as we stand to invest a considerable amount of money into the Croatian business. We need to understand which way would be best to set it up. Many thanks for all your knowledge and advice! Thank you for following and for your kind words! I recommend speaking with a lawyer. If you email me, I can recommend one. We have a simple / not simple question about tour guiding in Croatia. We are an American LLC and have produced Adventure Retreats around the world for decades and are wondering if we offer the same service in Croatia- do we need to obtain a tour guide license to do so? Or?? We happen to have multi-generational family living in, and are from Croatia that are working with us, so knowing the area, culture, history, politics, etc are very familiar to us all. regardless, we want to contribute to the Croatian GDP and brings customers to the country, not impinge on a culture or its tourism business. To operate as a tourist agency or guide in Croatia, one of your stakeholders will need to be a licensed tour guide. To get a license, the person must attend the course and take the test (all of which is in Croatian). Thanks for the great info on your site. I have a question. Do you know of anyone i can contact in the Rijeka area about tax for an online business, specifically selling on Amazon? I have 17+ Years of IT experience from india. I would like a start a business in Croatia and get a PR.can you please suggest a good business to start in Croatia or what is minimum invest to buy a property in Croatia to get a PR? Croatia currently does not offer residency in exchange for purchasing a property. I cannot recommend what business to start. I am in the process of starting up a Croatian company (D.o.o.). I was unable to get a trusted recommendation for an accountant (as I am new here and know no-one who is doing the same) so I found one “on the internet”. This is all well and good and she seems very knowledgeable but ofc we do not yet know each other. I have decided that I am happy risking the notary fees (+/- 500 euro) but am much more nervous about the capital (+/- 2600 Euro). The way it has been explained to me, I must post the capital in cash “at a bank” and they will hold it during company formation. I can see how this could be a scam but equally the process is believable. I do not yet have a local bank account and my ID card is still in process. Can you clarify the actual process around posting the capital for a start up? Yes, I can clarify for you. As part of starting the d.o.o., you must open a business bank account at a bank of your choice in Croatia. After opening this bank account, you must deposit the required start up capital into this bank account. Then you take proof of deposit back to FINA (where you opened the d.o.o.) to show that you meet the start up capital requirements. It’s near impossible to be scammed out of your deposit capital. Great article on how to start a business in Crotia. I have a friend who is from Crotia, if I wanted to do business with them, what’s the necessary steps I should take if I’m not from Crotia? Or should I even bother? I plan to actually to not live in Crotia, so how would we set up the business? If you do not plan to operate in Croatia, then you do not need to set up a business in Croatia. You can work with a company in Croatia and not operate in the country. That will be the easiest and cheapest way to move forward. Always best when you can avoid an additional bureaucracy. I am a United States citizen, and my father is a dual citizen of both Croatia (where he was born in 1950 [former yugoslavia]) and the US. I am currently visiting him, and considering moving here to Croatia and getting my own citizenship, and possibly moving my company which is currently based in the US over into Croatia, or even starting a second company here in Croatia. One issue I’m running into is moving money from the US into Croatia. All of the banks I go into (Erste, Zagrabacka, etc) tell me they do ‘Not’ accept checks, in fact, they do not even Deal with checks any longer. They also do not know anything about transferring money from the US to a Croatian bank account? The only way I know currently is to either Wire the money from a US bank to a Croatian bank (at a very high cost), or to simply take cash out of an ATM, many times, which is also costing a lot in ATM fees. Do you have any ideas or recommendations on how to best transfer US money to Croatia? I’m intending on relocating to Croatia to live with my fiance. I’m currently operating a Instagram boutique in Nigeria. I would like to continue doing so when I move to Croatia, with the assistance of my fiance. Would we need to register a company? It is illegal to sell clothing via Instagram in Croatia? I buy items as per order and ship to interested customers with a mark up in the price. Online work is a bit of a gray area in Croatia, as it hasn’t been legislated in detail. I would recommend keeping everything related to the business outside Croatia. Don’t have receive any income into a Croatian bank. This will keep you off the radar. We have to notify that the costs for the change of the company adress can be much more lower than 2000 kuna. If in the Statement of the foundation of the company is mentioned that the company adress can be changed without changing the Statement of foundation, then costs for the change of the company adress are much lower, around 500 kuna. Thank you for the comment! I consulted with a lawyer and have updated the post accordingly. In Italy I have many problems of starting the business due to the taxes and VAT. I am in the leather business since many Years and I was thinking the possibility of opening a Limited Company just for trading and triangle the goods. What I mean is producing the finished leather in Italy in some contract facility for then buying them with the Croatian company for then again exporting them from Italy to Countries extra CEE. On this way I should skip immediately the Vat at least, correct? In Italy it takes 12 months in order being in the position of usual exporter creating a Vat plafond that allow me to buy the raw material without vat because the problem is there in the purchasing system as I need to start buying and reselling without Vat for goods with export destination. What do think about this matter? Vat can be skipped immediately managing the biz on this way? How much it should cost just for establishing a limited liability company? Can you also give us a panorama of the company taxation and so on? I recommend reading this post: https://www.expatincroatia.com/pdv-value-added-tax-in-croatia/ VAT is voluntary for businesses under certain conditions. I recommend consulting a lawyer and accountant. By the way, there is a site in Italian specifically for Italians who want to come to Croatia. You may find it helpful. Thank you for this insightful post Mary. I’ve always thought about moving to Croatia and perhaps starting something there.